458 SOCOM 300gr. JHP (High Power) 160rds - Steinel Ammunition Co. This 458 SOCOM load consists of a 300-grain JHP which accelerates to 1,866 FPS from a 16″ barrel. Accuracy from our test upper averages 1.6″ groups @ 100 yards from bags. Exceptional terminal performance is achieved at this velocity. This round passes through two layers of leather and 26″ of standard FBI density ballistic gelatin. After looking far and wide, I settled on Steinel and glad I did. For the price per round these are ~200 fps faster at the muzzle. In my custom build using p-mags with custom ground followers, I get consistent feed with advertised MOA at 100 yards. Impressed and will be buying here from now on. Super fast shipping, all I have done is punch paper groups 1.5@ 100 I am happy to say the least , not one mishap in a new upper with this ammo , feeds slick plenty accurate. 5 out of 5	Powerful Cartridge! I shot a box of these in my newly built .458 SOCOM rifle just last weekend. I can definitely attest to the power of these rounds. While sighting in my rifle with paper on a 55 gallon plastic drum, I had inadvertently knocked the drum over on my 4th shot. The bullet must have struck a thicker part of the barrel, but it left my group laughing at the results. It’s a lot of fun to shoot and I can’t wait to go back out! 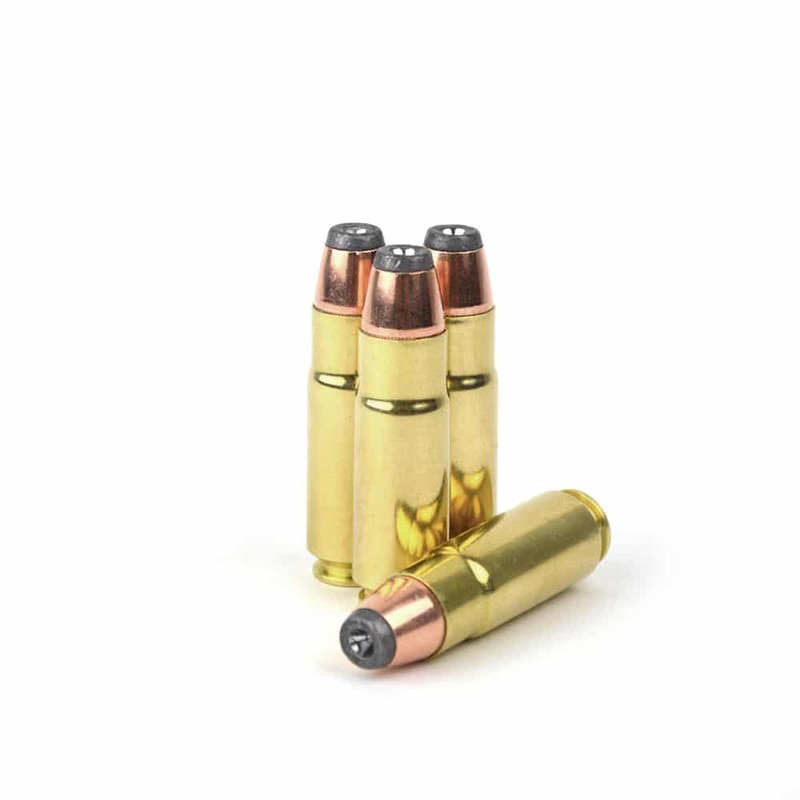 Always have good performance at a reasonable price with Steinel (xcaliber) .458 ammo. Consistent with each round downrange. It doesn’t feed as well as the round nose, but the corresponding damage is far greater. Loved the result!! Only problem was the feeding into the chamber. The lack of rounding on the nose of the projectile caused it to hang after just about every shot and cycle. The good: pricing and free shipping were great and what initially prompted me to purchase from xcaliber. The great: very well manufactured and accurate ammo. Sub moa capable. I put 2 on top of each other at 65ish yards. Given the size of the round, being able to cover 2 sequential shots on the paper with a nickel shows me that they are very consistent with their manufacturing process. The bad: Failure to feed basically every round. I’ve shot other jhp from other companies with minimal FTfeed issues. I tried gi mags, pmag, lancer, and thermold. I even modified a couple mags to ensure the case wasn’t catching the front lip but the issue persisted. I have ordered some factory premodified mags in hopes that this resolves the issue. Overall, I hope to get the feed issues resolved one way or another so the I can continue to purchase and shoot this ammo. 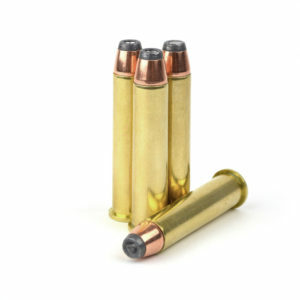 The good: pricing and free shipping were great and what initially prompted me to purchase from Steinel Ammo (XCaliber). The great: very well manufactured and accurate ammo. Sub moa capable. I put 2 on top of each other at 65ish yards. Given the size of the round, being able to cover 2 sequential shots on the paper with a nickel shows me that they are very consistent with their manufacturing process. The bad: Failure to feed basically every round. I’ve shot other jhp from other companies with minimal FTfeed issues. I tried gi mags, pmag, lancer, and thermold. I even modified a couple mags to ensure the case wasn’t catching the front lip but the issue persisted. I have ordered some factory premodified mags in hopes that this resolves the issue. Overall, I hope to get the feed issues resolved one way or another so the I can continue to purchase and shoot this ammo. This ammo is very accurate at 100 yards. It runs flawlessly through my RTD Arms rifle. I plan on purchasing more soon. The 458 300gr Hornady JHP worked perfectly. See the results… Thank you!! Shot Good, Ran good in the AR. All a guy could want. Excellent ammo!! Priced right even with shipping. Aero precision build with tromix barrel and bolt. Absolutely no hiccups and very accurate with minimal recoil. I can buy hornday for around the same price but after my hornday 6.5 grendel joke I’ll wait 2 days for quality. This ammo was very well crafted and had a very reasonable price that could not be beaten anywhere! Cycles excellent and highly accurate. Can’t beat the price or the quality. Will definitely buy it again. I recently finished my 458 build three weeks ago and purchased a lot of different rounds but the best rounds I purchased were xcaliber 458 jhp, the accuracy, power and flawless running (also you can’t beat the price) even on a brand new upper was unbelievable. The 458 socom is very tight however the trick is honing the chamber and a thorough cleaning is a must for a smooth extraction+ running a lot of rounds through it. Can’t say enough about xcaliber, the customer service, shipping and products are all fantastic. Happy 4th to all and god bless america. 5 out of 5	GREAT AMMO AT A GREAT PRICE! 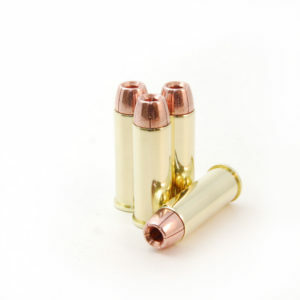 As you may know it’s very hard to find reliable and reasonably priced .458 socom ammo online. This ammo is well priced compared to other sites and functioned well with out a problem in my rock river arms .458 socom. I shot 20 rds from 150 yards and was getting all shots within a 5 inch group. I had some questions about the ammo and emailed their customer support staff and I was surprised to get a response back within an hour and it was after their businesses hours! Shipping was very fast and I personally like that the company is military friendly and gave me a small military discount for the 100rds I purchased. Definitely will be telling my army buddies about them and will buy again from them in the future. Functioned flawlessly in a radical firearms upper, accurate, moderate recoil. Definitely a round I will use from now on! Best price anywhere. Will be buying more soon.